Are you needing to build up your iron levels or boost your nutrient intake? Have you been advised to eat more liver, but are daunted by the sheer size and texture of it? If so, you’ll love our newly created Beef Iron Man Mince! It contains beef cuts that are minced together with 15% beef liver. 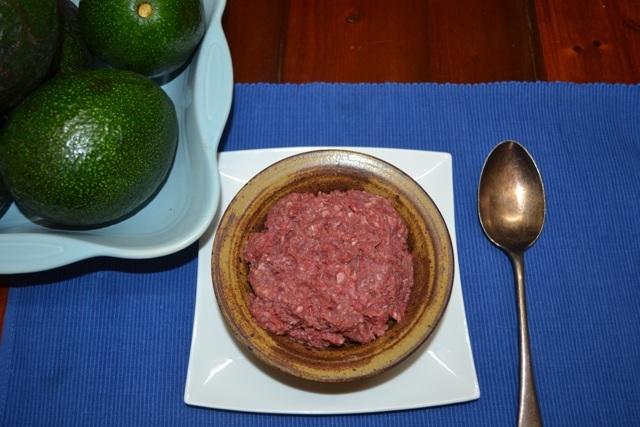 The texture of this combination are very similar to ‘regular’ mince, with a slightly stronger taste, PLUS useable iron, folate, vitamins and more! Ideal for those following a Paleo, GAPS, AIP or similar eating regime. (If you’re after a slightly milder taste, why not try our Lamb Iron Man Mince). 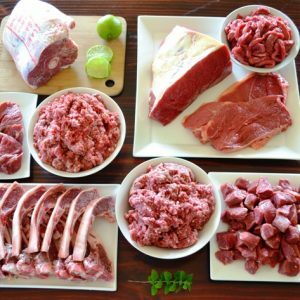 It’s the perfect introduction to including organ meats in your diet without any fuss or ‘ickiness’, and boasts the most nutrients and flavour of all our ‘Hidden Treasures’ line of mince. 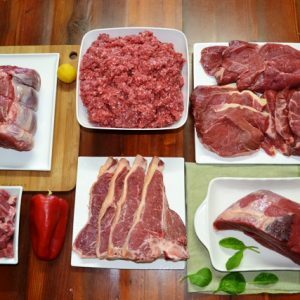 Certified organic Beef Iron Man Mince that can be used in any recipe that calls for mince. If you’re not used to the flavour of liver, our suggestion is that it’s best when cooked with ‘strong’ flavourings (ie. spices or curry or a tomato-based sauce). This will ensure your ‘secret ingredient’ is hidden from even the fussiest of eaters 🙂 We’d love to know your favourite way you prepare it! Available in 2 different sizes: 1kg and 5kg. What’s in the Surprise Meat Box? Find your nearest collection point and the related freight now! We’ve arranged our collection points in “clusters” on the map to avoid a cluttered view. Click on a cluster to zoom in for more clarity. Please note: Weights may vary +/- 5%, with price adjustments made for any weight variation outside this range. Delicious and nutritious. We cooked this up into Italian meatballs and all the family devoured them. No-one detected a liver taste, not even the kids. Thanks Border Park for helping to introduce liver into our diet. I ate this with a little trepidation as I found just eating straight beef liver a bit much. I needn’t have worried – although the liver could be tasted it was certainly not unpleasant, and at least I know it is good for me! Hubby couldn’t even taste it so no complaints there. Made some patties and lasagne. Definitely worth a try.